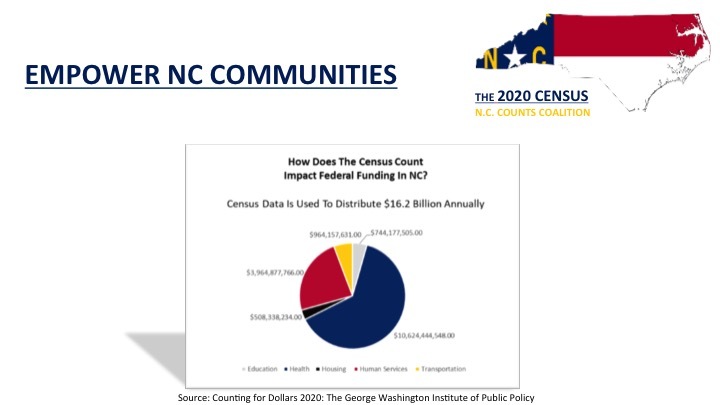 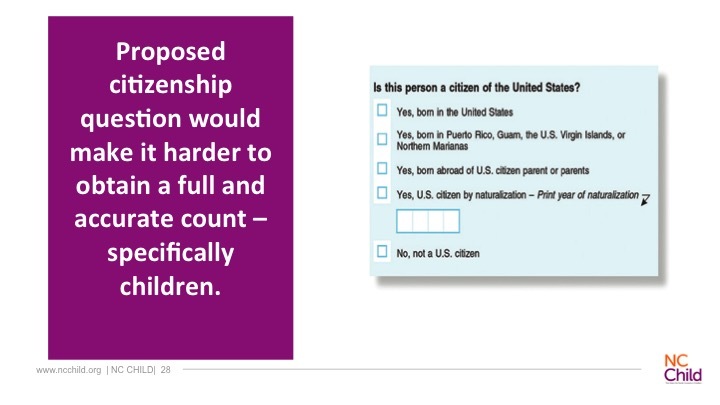 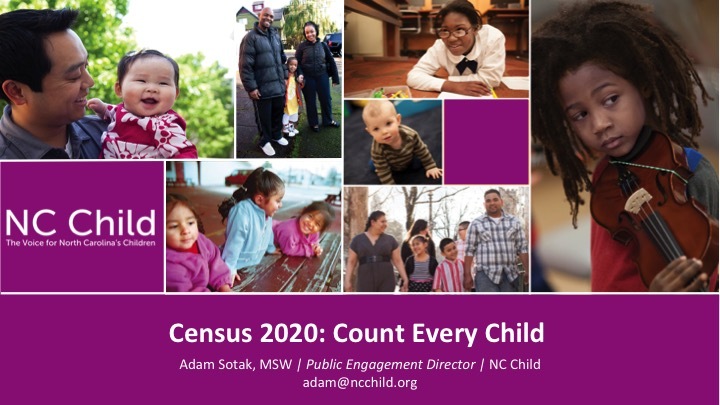 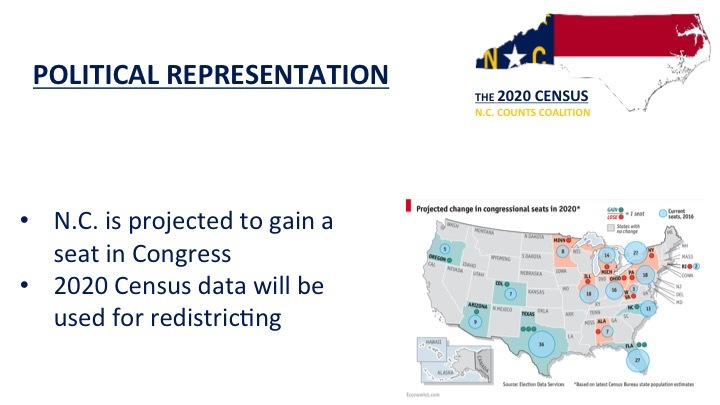 To bring home the relevance of Census 2020, Stacey Carless and Adam Sotak focused on how the results of the every-10-year count will affect funding for government programs. 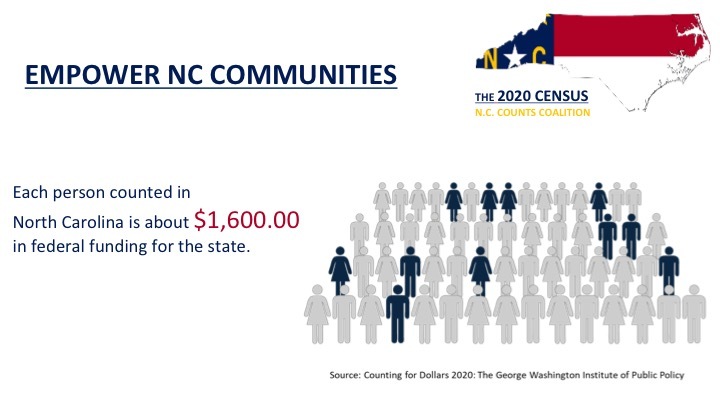 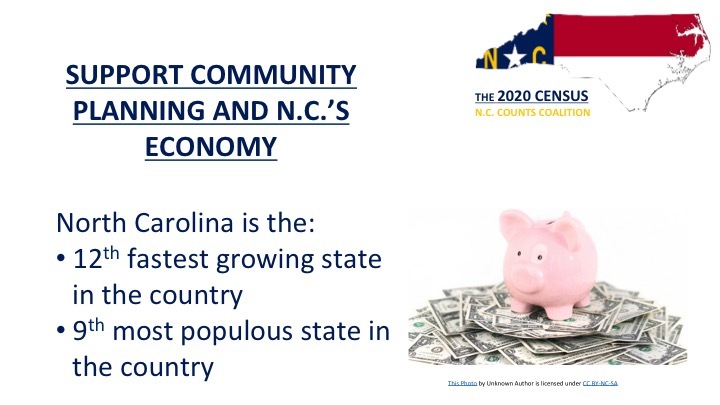 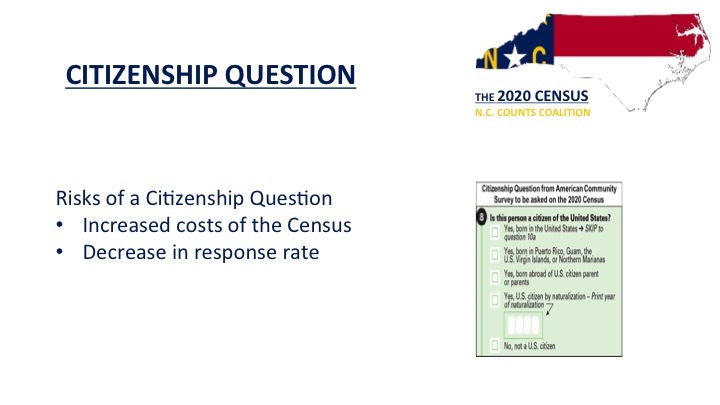 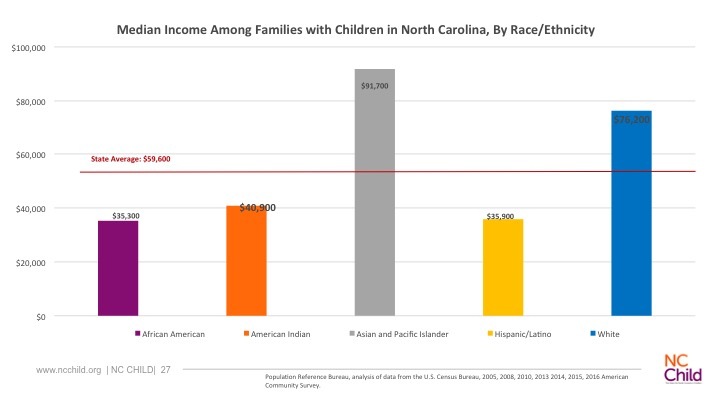 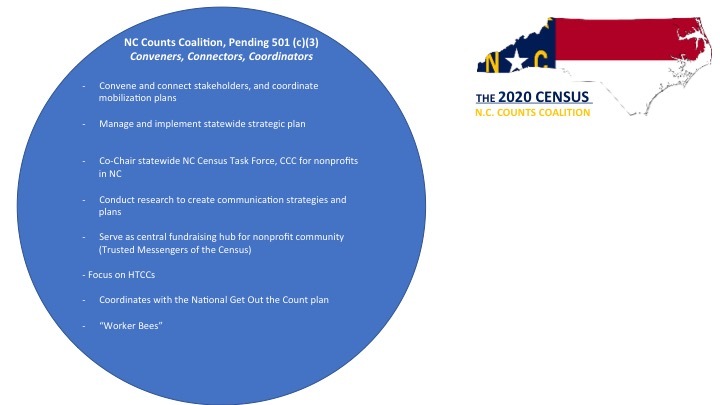 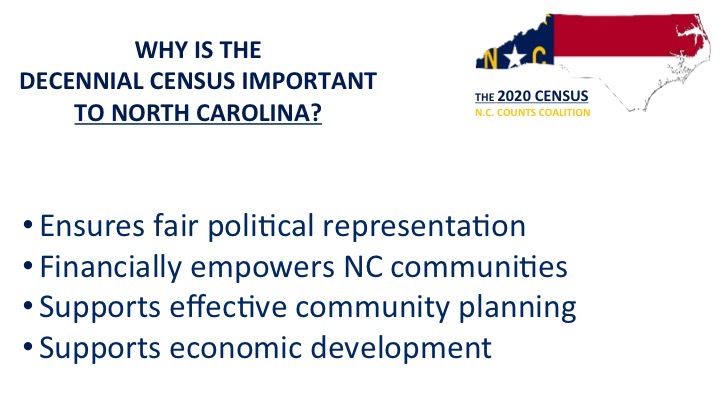 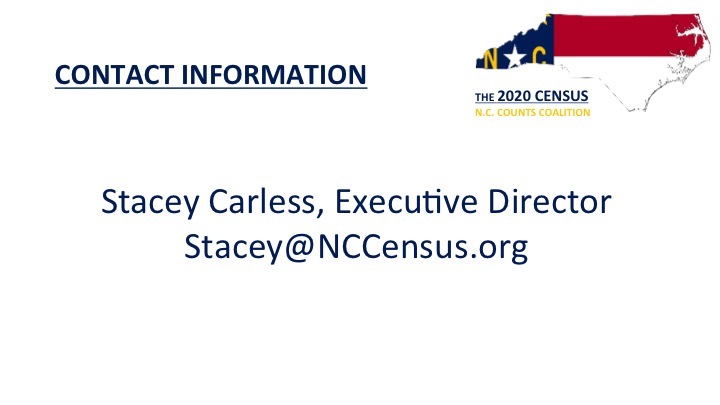 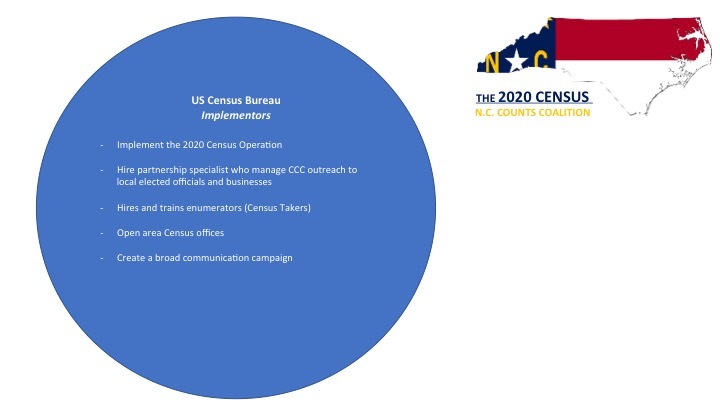 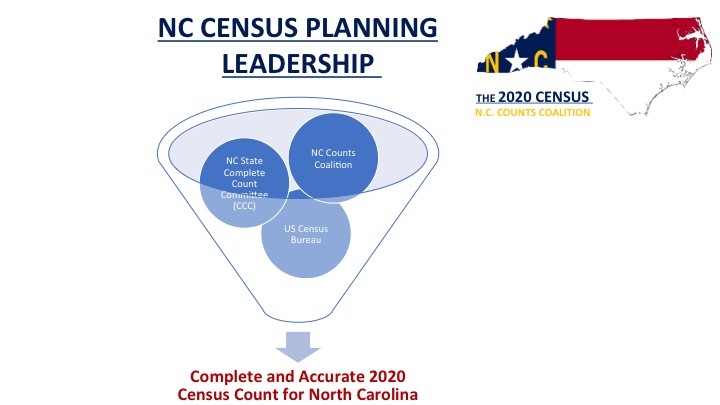 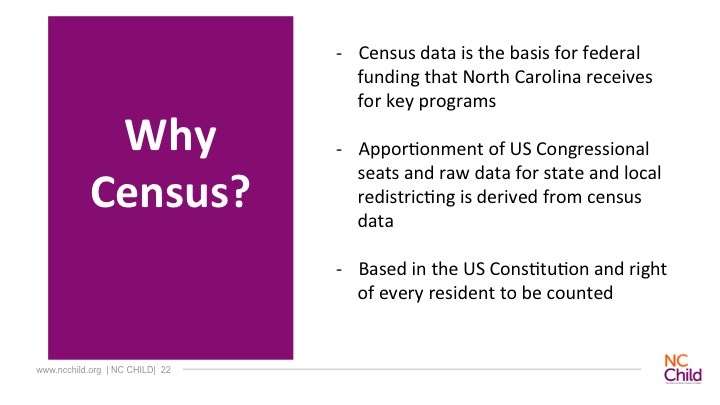 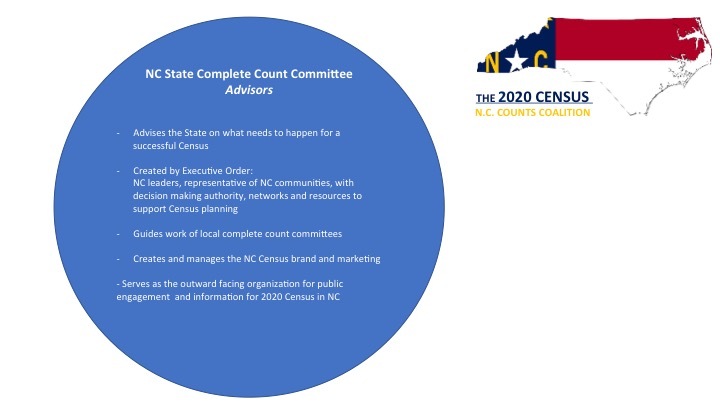 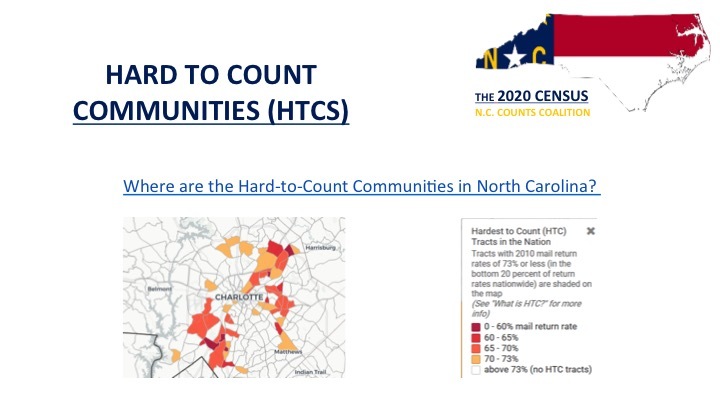 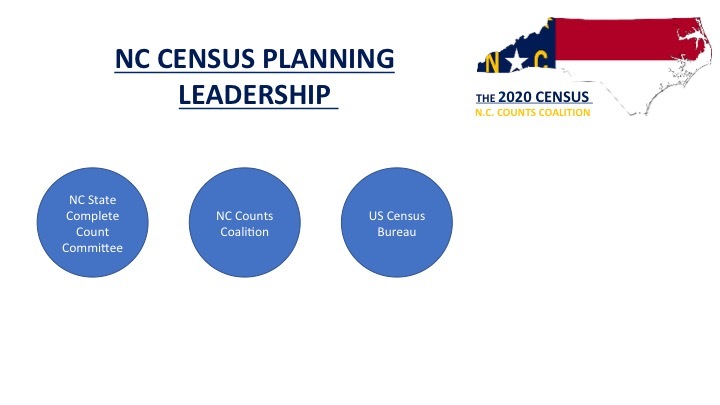 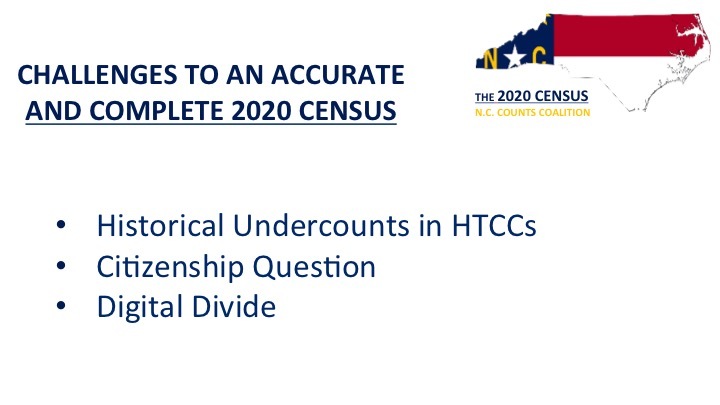 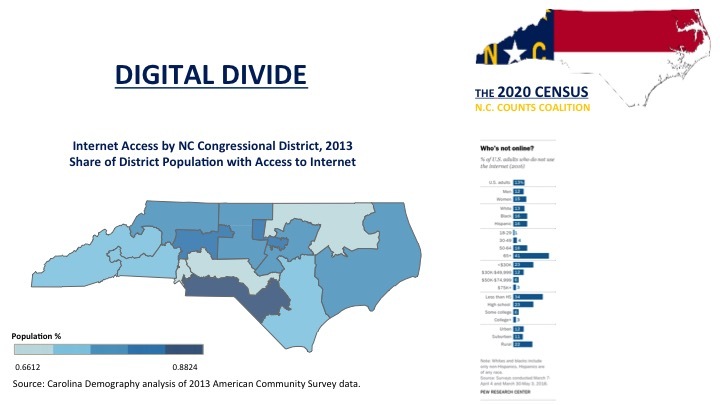 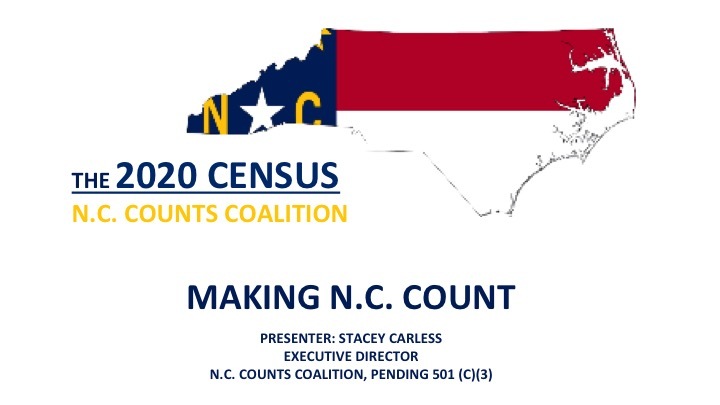 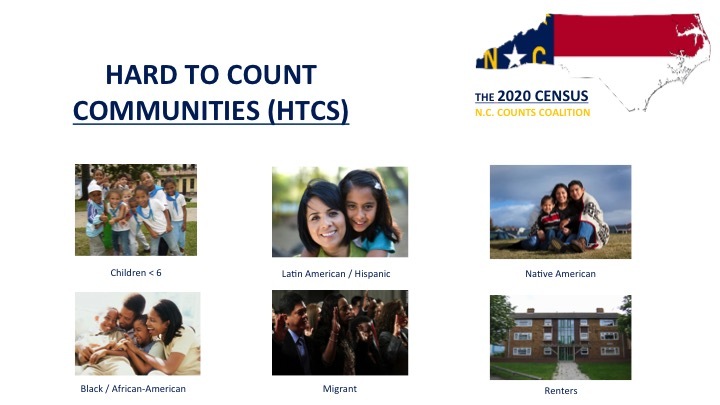 Carless, a lawyer, is executive director of NC Counts, a fledgling nonprofit advocacy group focused on the Census. 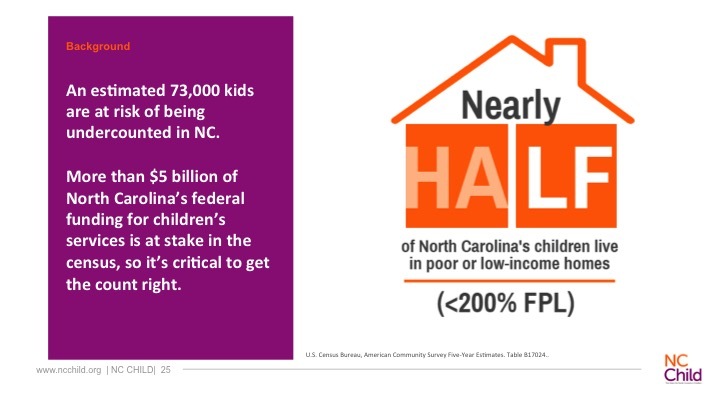 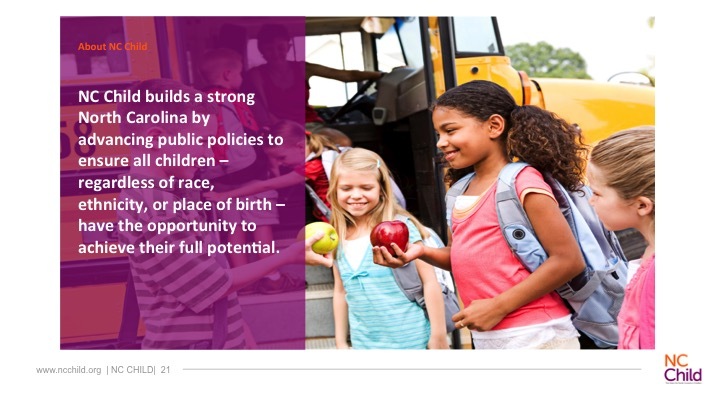 Sotak is public engagement director for NC Child, a Raleigh-based public policy group focused on ensuring equal opportunities for all children. 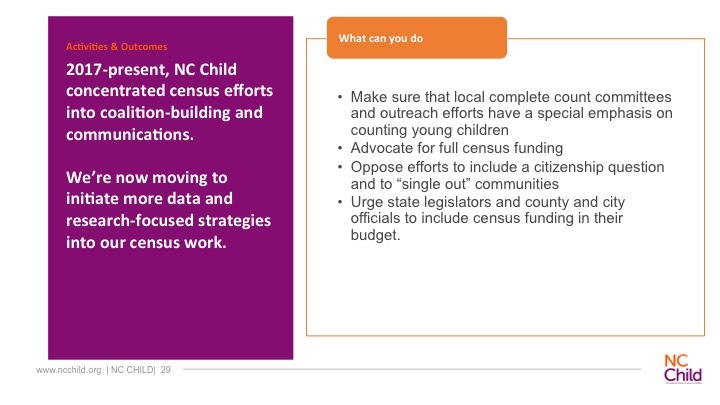 Materials handed out to Forum participants are here. 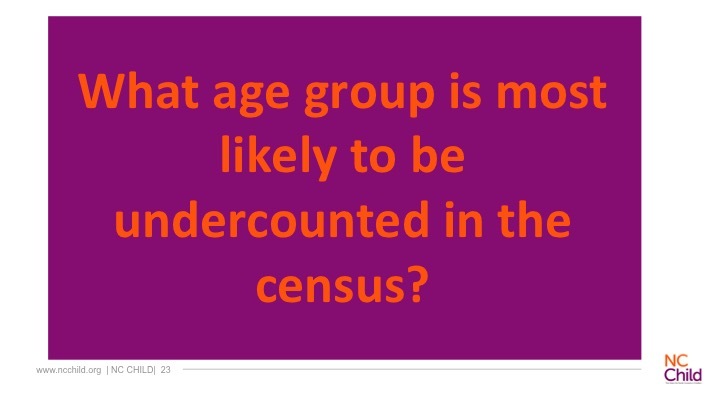 Below the video are the slides shown during the presentations.